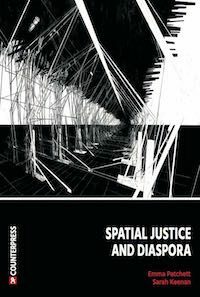 Occupation advances a new conception of the relationship between university purpose and property. 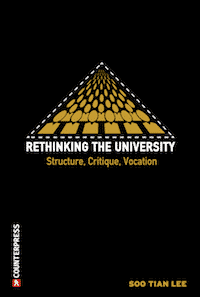 December 1st saw the launch of “Defend the Irish University“; a charter which underscores common experiences of university privatisation in Ireland and the UK, and suggests possibilities for resistance. It is important to take note of what is happening to students and staff who are contesting the effects of similar austerity and privatisation policies on higher level education in Britain. Many of the events of recent weeks have gone unreported in the wider media. There is a sense in which the student protest movements of 2010 have been reawakened and reinvigorated, but this time as a movement for broad economic justice and labour rights.1 It has been inspiring to see student unions support the recent strikes for fair pay for teaching and support staff. Students at Edinburgh, Sheffield and SOAS went into occupation in solidarity with staff. In London, students have been instrumental in struggling for low-paid workers’ conditions via the 3Cosas campaign of strikes. In Sussex, students have occupied to resist the privatisation of their university, in no small part because it has undermined low-paid workers’ pay and conditions. We often think of privatisation as installing new, solid divisions between ‘public’ and ‘private’. But privatisation dissolves as much as it builds. In particular it dissolves formerly dependable boundaries between social groupings. Student-worker solidarity is increasingly borne of a sense of that dissolution. An Australian activist may be as vulnerable to deportation as any of those who we associate with the margins of the immigration system. Students themselves are no longer so confident that a handsome wage and debt-free life will distinguish them from those who mow the lawns and cook in the canteen. For example, the rapid switch from tax to credit as a primary means of funding university education has been sustained by a happy consumerist ideology, centring on the misleading promise that student loans are ‘not real debt’; that they are cheap, fair, do not affect the poorest, and guarantee access to the sort of wage in which loan repayments barely make a dent. As Harry Stopes explains, there is very little public understanding in Britain of the impact which changes to higher education funding will have on individuals. This is not because it is difficult for students and staff to upset common assumptions about the safety of debt-funded undergraduate education. Yesterday, in my contract law class, I introduced students to the term in their contract with the Student Loans Company (I didn’t even mention loans obtained from providers other than the SLC), which permits the unilateral and retroactive variation of that contract to facilitate the securitisation of the student loan book, for instance, by increasing the rate of interest payable on loans. (The lecture Powerpoint is here). I say ‘introduced’ because the information was brand new to most in the room — indeed, it was almost brand new to me. Most could not remember entering into the contract with the Student Loans Company. None had previously fully grasped the import of the ‘plain English’ 33 year contract, to which they submitted themselves at the age of 18. I haven’t had so many raised hands in a while. I had taught them, in other contexts, about consumers’ vulnerability in contracting. They understood the concepts of informational asymmetry and heuristic bias, contracts of adhesion and brute bargaining power. We had talked about the position of asylum seekers and young people housed by G4S and Serco — subject to contracts between government and corporations, but unable to influence their terms. My students had assumed (as I once had) that we were learning about this so that they could protect clients made vulnerable by contract. They are not supposed to guess that they were in that position themselves, producers of debt for government sale, shunted into dispossession by contractual arrangements which insulate powerful corporate minorities from risk by scattering it across a field of individual ‘choices’. It is jarring to find oneself, suddenly and forcefully in that position. It is galling to find oneself there as a result of a single act of seductive consumption. The new British movement for ‘the right to the university’ is responding to the shock of discovering oneself to be a disempowered consumer, even in the act of consuming a product, an education, which was supposed to enrich and empower. Student debt, deducted as it is at source, is stubbornly impervious to later acts of debt resistance. 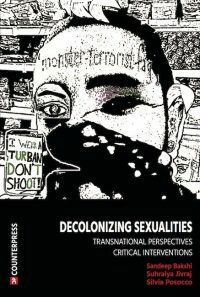 So the student protest which is currently emerging into the streets arises from a place of bewilderment and dismay, but also from a growing realisation that individual life projects are inseparable from broader collective experience. It seems that those who run our universities will move heaven and earth to improve satisfaction statistics for the National Student Survey, but are perfectly at ease with police punching their students in the face. The managers of a number of universities have participated in this repression, not only in the way in which they seek to run campuses, but in their collusion with broader regressive developments in the law of protest.2 Student occupations and street protests are attractive means of working that gap because, especially in the context of higher education, anti-union legislation ensures that respectable striking and ‘working to contract’ are depressingly limited forms of industrial action (see further here). Student activists are often disillusioned with the strategies of their own unions. Student occupations are attractive because they fly in the face both of imposed civility and of the MOOC philosophy of education management, which, as the University of Ulster occupiers know, increasingly believes that students’ education is best facilitated by eliminating the need for their physical presence on campus. More than that, they are attractive because they take what would otherwise be individual problems of debt, expense, precarious labour and disillusionment, and make their relation to space and appearance obvious. They interrupt the normal order of things, providing space and time for interdisciplinary engagement between students – for exchange of ideas which are not always taught, for performance, celebration, discussion and co-habitation. Disobedient occupations continue the age-old tradition of trespass as protest. They resonate with protests in Syntagma Square, Tahrir Square and Zuccotti Park. 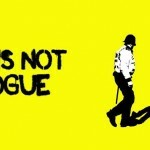 But they do so in a context in which, again following the logic of privatisation, the distinction between ‘the riot’ and the ‘protest’ is dissolved by tropes of reasonableness and civility. The claimant’s only wit­ness made sub­mis­sions that the ‘Cops off Cam­pus’ demon­stra­tion sched­uled for 5 Decem­ber (based on evid­ence gleaned from Face­book posts and Twit­ter feeds) involved a ‘highly sens­it­ive issue for many of the stu­dents of the uni­ver­sity’ and was likely to be ‘very heated and emotive’. Is the spectre of overly emo­tional stu­dents haunt­ing those respons­ible for uni­ver­sity oper­a­tions? Or is it the idea of a well-​organised oppos­i­tion to uni­ver­sity privat­isa­tion that places value on demo­cratic gov­ernance, fair work­ing con­di­tions and intel­lec­tual free­dom that repeatedly drives uni­ver­sity man­agers to the courts? 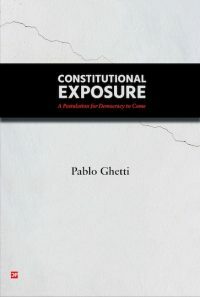 By grant­ing pos­ses­sion orders, courts are effect­ively turn­ing stu­dent pro­test­ers into tres­pass­ers on their uni­ver­sit­ies, liable to fines and impris­on­ment if they defy the injunc­tions in order to express dissent. But even in the face of constraint, there is potential. So, when it comes to occupations, it may be that trespass is not the end of the matter. There are some shoots of further productive disobedience. This year, Sussex occupied Bramber House in defiance of a High Court injunction, actively disobeying the law which forbids their protest. Ultimately, they did so at the cost of their temporary suspension, but in doing so won the solidarity of thousands, bringing their university administration under unprecedented public scrutiny. 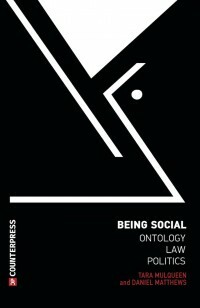 Law itself, as it stands, has little to offer them, but as they make demands for inclusion from law’s outside they advance an alternative vision of the interactions of university property, critical community, and the law. In a sense, I would suggest, occupations are best understood as analogous to anti-eviction and anti-foreclosure movements; as movements which tentatively perform the limits of private law. These unruly occupiers are not consumers or debt paeans. They are agents of jurisgenesis. They may be pointing the way to an indirect strategic deployment of trespass in a broader context of protest. The occupation is the medium, not the aim. Occupation advances a new conception of the relationship between university purpose and property; one which makes it impossible for management to avoid the struggle, even if they shut the door. Máiréad Enright lectures at Kent Law School. I read this article and found it very interesting, thought it might be something for you. 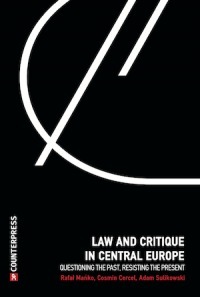 The article is called The Law of University Protest: Notes from the UK and is located at http://criticallegalthinking.com/2013/12/12/law-university-protest-notes-uk/. So, cleaners and cooks deserve a low wage and a debt-ridden life? Wow, my first name is Alessandro and I was taken aback by the exact portion of the article as you were. For the sake of clarification, my point was not that poorly paid workers deserve to be poorly paid. My point was that more students here are beginning to identify with other precarious workers – that they are no longer buying the line of ‘securing individual prosperity through [expensive] education’. I agree with you, of course, but my point was that if students ever did believe that line, I find it hard to feel sorry for them.